Geelong Fire Service provides reliable, peace of mind solutions and services to you and your business that eliminates your concern of wondering if your fire system is in working order. We can offer full design & construct of any fire service requirements, with our fully qualified, in house, design office. 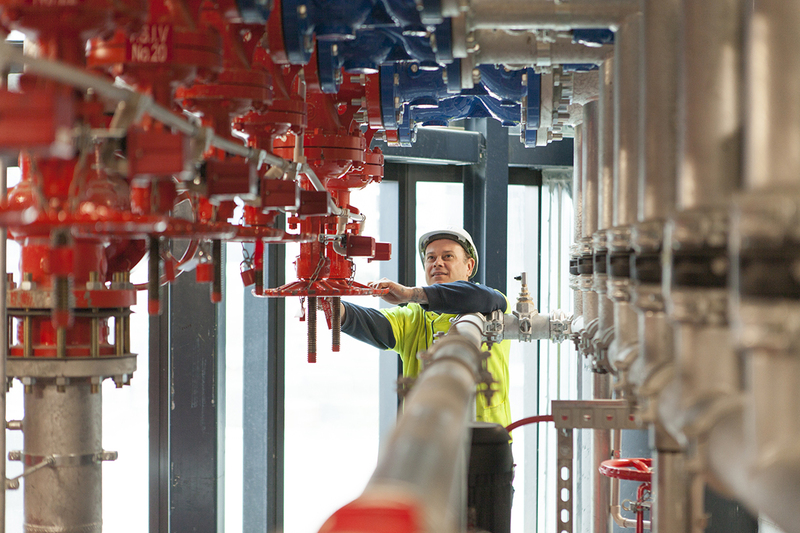 Geelong Fire Service has been established for over 20 years and is engaged in the design; fabrication, installation and servicing of a complete range of fire protection systems. Whether you are building, expanding or upgrading, GFS can assist your fire protection needs. With a full complement of fire protection products, with personnel skilled in evaluation, planning, installation and maintenance, GFS can complete all milestones requested reliably. GFS also provide a 24 hr all-year-round service centre. Qualified technicians oversee all projects, and ensure they are conducted in a professional manner. GFS ensures that all works are completed in accordance with the appropriate Australian Standards. GFS currently maintain on going contracts with several established companies for testing, maintenance and servicing. Our past experience has seen us service many clients in both commercial and residential fields successfully. Geelong Fire Service works with our customers to provide the right solution for their needs. Proactive, Integrity, Solutions are all part of a Quality Management system that Geelong Fire Services has adopted. This model is shown below, which explains the Geelong Fire Services Difference. Victorian Wide Services as we have key personnel located throughout Victoria. A comprehensive Computer-Aided service tracking system, to maintain quality, on-time service to our clients. Be honest with our clients with what is required by law and to become a integral member of there community. Strive to provide the best possible solution to our clients that will remain cost effective, time effective and patronage effective. Training your staff and conducting regular fire drill within you premises, as well as being an OH&S requirement, will also ensure that your personnel are ready to deal with any workplace emergency promptly and safely. Geelong Fire Services can now provide Fire extinguisher, Evacuation and Warden training at your site, using the latest training aids on the market. This ensures your staff are more familiar with the processes and equipment in their own work environment and causes less interruption to the work day. The training will give your personnel the skills required to use fire extinguishers and fire equipment on small workplace fires. This training course uses a combination of both practical and theory training in how to safely operate fire equipment, and how to safely extinguish workplace fires. Our mobile fire trailer comes complete with Fire Detection and Evacuation Systems, as well as a Portable Fire Simulator, that can be used for countless training exercises to suit your needs. The training equipment is certified by Energy Safe Victoria, which ensures we can provide fire training at your workplace safer, and in an environmentally friendly and mess-free manner. It’s like having a Fire Station in your own back yard to teach your staff how to deal with an emergency. Have an enquiry? Send us a message using the form below. We’ll get back to you as soon as possible. © 2018, Geelong Fire Services PTY LTD | Website by The Start Team.